This is Wayback Wednesday, your midweek blast from the past! In this feature, we dig into the archives, look back at the history of basketball gaming, and indulge in some nostalgia. Check in every Wednesday for retrospectives and other features on older versions of NBA Live, NBA 2K, and old school basketball video games in general. You’ll also find old NLSC editorials re-published with added commentary, and other flashback content. 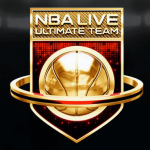 This week, I’m taking a look back at Ultimate Team in NBA Live 14. The concept of Ultimate Team actually originated in EA Sports’ UEFA Champions League 2006-2007, released for the Xbox 360. It didn’t debut in the FIFA series until FIFA 09, launching in March 2009 as paid downloadable content. Other games in the EA Sports lineup began adopting their own versions of Ultimate Team, with Madden adding the mode as free DLC for Madden 10 in January 2010, and NHL 11 including it at launch. It has since become a staple game mode in EA Sports games, alongside the various franchise and career experiences. This is Wayback Wednesday, your midweek blast from the past! In this feature, we dig into the archives, look back at the history of basketball gaming, and indulge in some nostalgia. Check in every Wednesday for retrospectives and other features on older versions of NBA Live, NBA 2K, and old school basketball video games in general. You’ll also find old NLSC editorials re-published with added commentary, and other flashback content. 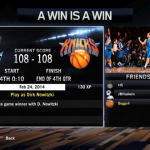 This week, I’m taking a look back at BIG Moments, which debuted in NBA Live 14. Since I covered NBA 2K17’s College DLC last week, I’d say it isn’t too soon to go back to the beginning of the current generation of NBA Live this time. It’s been a long time since EA Sports’ game was the premiere NBA sim, and this generation has once again seen the game rebuilding over the course of a few years, as it’s fought to regain its share of the market. The process has had its up and downs and it seems to be paying off with NBA Live 19, but even when the series was in rough shape, there were flashes of brilliance and good concepts. One of those ideas was BIG Moments. Welcome to this week’s edition of The Friday Five! The Friday Five is a feature that I post every Friday in which I give my thoughts on a topic that’s related to basketball video games, the real NBA, or another area of interest to our community, either as a list of five items or in the form of a Top 5 countdown. In recent episodes of the NLSC Podcast, Arcane and I have been discussing the future of NBA Live, particularly how it’s a case of “now or never” when it comes to certain features and improvements. Likewise, back in October of last year, I engaged in a little early Wishlist talk in The Friday Five, with a piece titled 5 Things NBA Live 17 Absolutely Has To Do. Suffice to say, we have some strong feelings about what we feel the series has to achieve with this year’s iteration, as do other members of the basketball gaming community. Since it is just about time to start creating our official Wishlist threads, I thought I’d use this week’s Five to revisit the topic of what needs to be done with NBA Live. There’s obviously going to be some overlap with the previous discussions, as I haven’t changed my mind about what I believe are the most important areas that Live needs to improve in. That said, on this occasion, I’m focusing on five features that I’d like to see return, and prioritising them in the form of a Top 5 countdown. Without any further ado, let’s tip things off with number five. Well! It’s certainly shaping up to be an interesting – and somewhat controversial – offseason so far. Some big names are staying put, a few significant players are moving on, and at least one key free agent has completely changed his mind. I was considering writing about a topic related to the offseason for this week’s Friday Five, with the DeAndre Jordan situation being an obvious frontrunner. However, I can pretty much sum up my thoughts on that in ten words: it was a situation that was handled very, very badly. Besides, as I mentioned in last week’s Five, I want to concentrate on putting out some articles about basketball video games, since that is the focus of the NLSC after all. The Finals and Playoffs offered an incentive to talk about real basketball, but as we find ourselves in the offseason and waiting for more news on both NBA Live 16 and NBA 2K16, I feel some game related topics are in order. To that end, this week I’m talking about five game modes in basketball video games that I ended up enjoying more than I thought I would. Let’s tip things off with a mode from NBA 2K! BIG Moments have only been in two iterations of NBA Live to date, but I’m definitely hoping that the mode becomes a staple of the series, as it’s quickly become one of my favourite aspects of the game. I’m liking the improvements and additions that have been made in NBA Live 15, such as the hot spot challenges, scenarios where we’re invited to re-write history, and the wider variety of game situations. If there’s another element I’d like to see added to BIG Moments however, it would be historical challenges. Now, this would be tricky to pull off, as it would require EA Sports to secure the likeness rights of various retired players. Additionally, the player that I’d most like to see represented in historical BIG Moments – Michael Jordan – is currently signed to an exclusive deal with Visual Concepts, which makes his inclusion in NBA Live impossible. However, let’s put all of that aside for a moment, and pretend that anything and everything is possible. With that in mind, here are the five historical BIG Moments that I’d like to see in NBA Live. Please be advised that we have now launched the Help & Requests, Releases & Previews, Tutorials, and FAQs subforums to the NBA 2K15 section of the NLSC Forum. We’ve also added the appropriate NBA 2K15 Downloads sections to our database, ready to accept uploads from the community. At this time, our community is still figuring out how to work with NBA 2K15 PC’s files, which are very different now that the game is a port of the PlayStation 4/Xbox One version. Nevertheless, everything is in place for when modding finally gets underway. Please also note that the forums for NBA 2K14 and NBA Live 14 have now been moved to the Previous Games section on the Forum index. With a steady stream of NBA Live 15 and NBA 2K15 news coming our way, we had a lot to talk about in Episode #96 of the NLSC Podcast. Join Arcane and myself as we chat about the latest developments, fully aware that there would be even more stuff to talk about not long after we finished recording. The Return of Leftos in Episode #95 was a success, as we enjoyed talking to our good friend and getting some great info on MyGM and MyLEAGUE for the community. We bid JaoSming a fond farewell from the NLSC Team and Podcast, and wish him all the best in his new gig at Visual Concepts. Moving on to gaming news, we tip things off with the ratings reveals for NBA Live 15. Were we surprised by any of the initial ratings? We discuss the latest NBA Live 15 screenshots, which have featured all 30 NBA arenas, several players, and a collection of shoes. As we consider the future of NBA Live and what the game needs to do to continue to improve this year and beyond, we briefly segue into the topic of fanboys and haters. NBA Live 14 has continued to receive some patches and content updates. Have they made a difference? PlayStation 4 and Xbox One users will be able to scan their faces into NBA 2K15. Will it persuade us to invest in a PlayStation Camera? 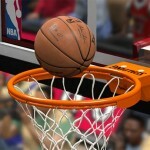 2KTV, which will deliver content geared towards NBA 2K gamers, has been announced. Personally, we’re looking forward to JaoSming’s contributions. Details on MyCAREER are beginning to come through. We discuss what we know so far, and whether our attitude towards the mode has changed at all. We also know a little more about Badges in NBA 2K15, and we’re liking what we hear. Discussion of real basketball this week includes Rajon Rondo’s coachability, a couple of players taking their talents to China, and an obligatory NBL mention. We close the show on a story that leaves us feeling rather flushed. As always, we welcome your thoughts on this week’s show, as well as any of the topics that we discussed. Have your say in the comments below, or here in the Forum! Mailbag submissions and topic suggestions are also welcome, so feel free to hit us up in this thread. The previously announced offseason roster update for NBA Live 14 has now been pushed through. The new rosters account for major and minor transactions alike, as you’ll find LeBron James and Kevin Love on the Cleveland Cavaliers, Pau Gasol and Aaron Brooks on the Chicago Bulls, Isaiah Thomas on the Phoenix Suns, and so on. At a glance, it seems that everyone who was in the final 2013/2014 roster is on their correct squad. There are some inaccuracies, however. It doesn’t appear as though any jersey numbers have been updated, as LeBron James is still wearing #6, while Kevin Love still sports #42. Udonis Haslem is also starting at point guard for the Miami Heat, and unfortunately none of the Class of 2014 rookies have been added to the game. It remains to be seen whether any further roster updates will be pushed through. NBA Live 14 also continues to receive a few other content updates, presumably implementing a few things that the development team has been working on for NBA Live 15. Having played a few games today, there seems to a bit more smoothness to some of the animations, and it also appears as though some new dunks and layups have been quietly added. If you own NBA Live 14 on PlayStation 4 or Xbox One, fire it up to check out the new rosters, and let me know if you notice any difference after the most recent content update. Even with NBA Live 15 right around the corner, new content continues to be added to NBA Live 14. The “Now and Then” Showdown challenge is now available in Ultimate Team, pitting you against three current teams that feature NBA Legends with boosted ratings. 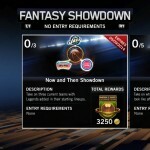 The teams are the Detroit Pistons, San Antonio Spurs, and Utah Jazz, and the Showdown expires on September 9th. As previously mentioned, NBA Live 14 has quietly received a few content updates recently that have had an impact on gameplay, while new rosters featuring offseason movement – and presumably this year’s rookie crop as well – are also in the works, and should be coming through soon. 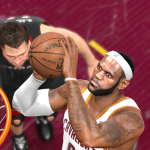 If you’re still playing NBA Live 14, feel free to join in the discussion here in the Forum. You can also find the latest NBA Live 15 news and previews here, and talk about this year’s game here. As we originally confirmed in our interview with Executive Producer Sean O’Brien, NBA Live 14 will be receiving a roster update reflecting the changes that have taken place during the offseason. In response to a question about the update on Twitter, Sean confirmed that the team is currently working on getting it done, suggesting that it will be pushed through in the not too distant future. @Kush_Mayhem @TheNLSC @EASPORTSNBA working on that right now. As noted by a few NBA Live gamers, including ThaLiveKing and Izzy Snow, NBA Live 14 has also very quietly received a few new content updates in the past week, providing some minor (but noticeable) fixes. While I expect that these updates will cease after the release of NBA Live 15, it’s clear that the NBA Live Development Team are quite committed to post-release support. If the new Visuals Trailer is anything to go by, NBA Live 15 is going to be a big improvement on NBA Live 14, but I would expect that the team will be just as proactive in addressing any issues in this year’s game. Any thoughts? Feel free to sound off in the comments below, as well as in the NBA Live 14 section of the NLSC Forum! While Dynasty remains my favourite depth mode in NBA Live, I’ve very much enjoyed BIG Moments in NBA Live 14, and was definitely glad to hear that it will be returning in NBA Live 15. Back in March, I posted a countdown of my top five BIG Moments to that point, but plenty of new Moments have been added to the game since then, right through to the end of the 2014 NBA Finals. So, with the 2014 season in the books, and the 2015 season almost upon us, I thought that I’d take a look back and rank my top five BIG Moments in NBA Live 14 from the 2014 NBA Playoffs. Last year’s postseason gave us quite a few memorable games and moments, and these are the ones that I personally found the most interesting, challenging, and enjoyable to re-play in NBA Live 14. Let the countdown begin! We’re back to our regular show this week, with Episode #91 of the NLSC Podcast! JaoSming and I catch up on all the latest NBA Live 15 and NBA 2K15 news, and chat about a few other topics. We reflect on last week’s interview with NBA Live 15 Executive Producer Sean O’Brien, recapping some of the highlights. New NBA Live 15 screenshots are being released, showing off the arenas. They’re nice, but we’re holding out for more player close-ups and gameplay footage. It happened! 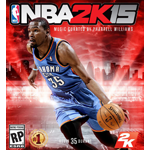 NBA 2K15 PC will be a port of the PlayStation 4/Xbox One version! So…what does that mean for us? Speaking of NBA 2K15, MyLEAGUE sounds awesome, even if a few cynical people don’t think so. A rant ensues. JaoSming provides us with this week’s update on the latest modding developments. In NBA news, Kevin Love is headed to Cleveland, as is Shawn Marion. Apart from that, we’re at a very slow point of the offseason, but we find a couple of other interesting topics to chat about. We close this week’s show with a great quote from Swaggy P.
We’re pleased to present a special episode of the NLSC Podcast this week, as JaoSming and I had the opportunity to chat with NBA Live 15 Executive Producer, Sean O’Brien. Sean very kindly gave us a little over two hours of his time, in which he spoke very honestly about the return of the series with NBA Live 14, the team’s goals with future releases, and of course, some of the things that we can expect in NBA Live 15. On that note, Sean gave us a lot of great info on this year’s game, including details on controls and responsiveness, physics, locomotion and animation quality, AI improvements, and enhancements to the shooting mechanics. Sean also clarified a few points about the future of game modes such as Dynasty and Rising Star, while also answering our questions about this year’s practice facilities, content updates, and even the possibility of NBA Live 14 getting further roster updates before NBA Live 15 comes out. That’s just the tip of the iceberg, so don’t delay any longer: click Play to listen to the show! A huge thanks to Sean once again for coming on the Podcast! As always, we welcome your thoughts on this week’s show, either in the comments below, or here in the Forum. We also invite you to join in the discussion taking place in the NBA Live 15 section of the Forum. Seeing as how it’s my favourite game mode, I’ve naturally written a couple of Friday Five articles about Dynasty Mode in the past. I’ve talked about some of the improvements that were made in NBA Live 14, as well as what I want to see added in the future. This week however, I thought I’d talk a little about some of the things that have made the mode so much fun for me over the years. In a nutshell, the key to making a mode like Dynasty fun and enjoyable is for it to be both deep and immersive. While there is obviously still room for improvement in that regard, I find that a lot of enjoyment actually comes from the basics, not to mention the right approach. Without any further ado, here are five things that I believe greatly contribute to the fun of Dynasty Mode.